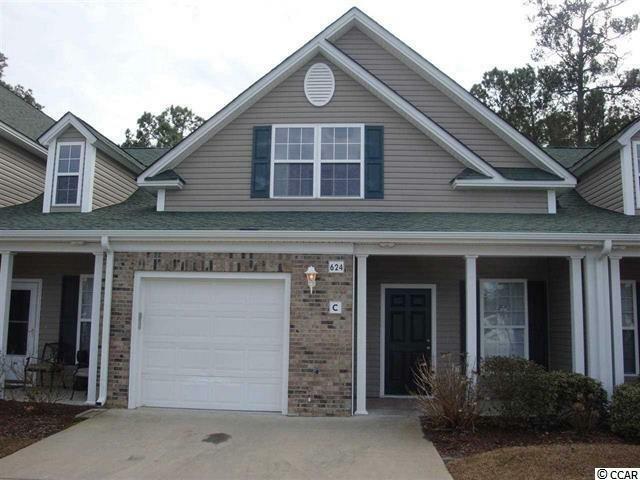 This 3 Bedroom, 2.5 Bath Town Home style Condo is located in the popular subdivision of Park West in Murrells Inlet. The master bedroom is conveniently located on the first floor and boasts a walk in closet, double vanity, large linen closet and walk in shower. The spacious kitchen with work island overlooks the living room creating an open floor plan concept which is perfect for entertaining and family time. Upstairs you will find two sizable bedrooms and full bath. Relax and unwind in privacy on your screened porch or covered front porch. A one car garage is also included. Won't last long at this price, contact us today for a showing!